The U.S. Department of Energy along with Intel and Cray confirmed today that an Intel/Cray supercomputer, “Aurora,” capable of sustained performance of one exaflops, will be delivered by the end of 2021 to Argonne National Laboratory and become the United States’ first exascale supercomputer. The retooled CORAL contract is valued at more than $500 million; Intel is still the prime and Cray is still the sub-contractor (as per the original CORAL contract, which was rewritten but not put out for rebid). Today’s announcement left unanswered questions about Aurora, in particular details on the “novel” technologies previously alluded to by Intel and the DOE that will be incorporated in Aurora21. But Intel did put a name – Xe – to the mystery that is its next-generation architecture, which while not available in the wild yet, undergirds the DOE’s plans to achieve sustained exascale in 2021. Aurora — a Cray “Shasta” system — will be based on a future generation of Intel Xeon Scalable processor, Intel’s Xe compute architecture, a future generation of Intel Optane Datacenter Persistent Memory, and Intel’s One API software. Those technologies will be embodied in more than 200 Shasta cabinets, all connected by Cray’s Slingshot interconnect and the Shasta software stack. Cray’s contract is valued at more than $100 million, one of the largest in Cray’s history. Aurora is the second major win for Shasta systems in the last six months. Cray’s contract with NERSC, for the Shasta system known as “Perlmutter” is worth $146 million. During a pre-briefing held for media last Friday (March 15), Intel provided no technical details on the new Xe architecture — on whether it would incorporate the new discrete GPU that Intel slyly showed on a foil at SC18 in Denver, for example. The partners — the DOE, Argonne Lab, Intel and Cray — are unified in emphasizing not just the significance of crossing the exascale horizon, but Aurora’s role in accelerating the convergence of high performance computing and traditional modeling and simulation with data analytics and AI. “This system will be an excellent platform for both traditional high performance computing applications but also is being designed to be excellent for data analytics, particularly the kinds of streaming data problems we have in the DOE, where we have data coming off accelerators, detectors, telescopes and so forth,” said Rick Stevens, associate laboratory director for computing, environment and life sciences at Argonne, during Friday’s briefing. Stevens also said Aurora will be “exclusively configured” to be an excellent platform for deep learning. It’s all part of the “six pillars of innovation” that Intel has been focusing on in recent customer and partner (and media) engagements. Argonne’s Stevens believes the convergence of machine learning, deep learning and simulation will create a multiplier effect for the progress of scientific discovery. 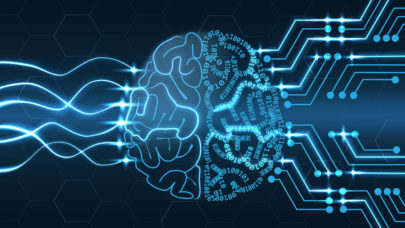 “We see many groups that are doing simulations – wanting to incorporate various machine learning or AI methods directly into those simulations or to control or manage large numbers of simulations with AI to do active learning approaches, so in general we think this will create another wave of acceleration across many areas of science, technology and health care,” he said. Stevens is personally looking forward to how the increase in compute and new data analytics capabilities will boost Argonne’s efforts with the National Institutes of Health and Cancer, as well as with the Veteran’s Administration, which in collaboration with the DOE, is applying large-scale data analytics and machine learning to understanding the risk factors for suicide and strategies for improving outcomes in suicide. Better understanding cardiac risk and traumatic brain injuries are further application areas. Aurora will be available to the DOE complex, as well as the U.S. university system through programs like INCITE as well as being available to the American industry, Stevens reported. Areas the Exascale Computing Project (ECP) has been investing in include material science, e.g., designing better battery materials, more efficient photovoltaics, and advanced materials for wind power or nuclear reactors. Other ECP projects are evaluating earthquake hazard risk; another is looking to apply simulation and AI to additive manufacturing. There are projects focused on improving wind turbine efficiency, and others advancing climate and weather forecasting. National security and defense applications are of course critical to DOE leadership supercomputing. DOE Under Secretary for Science Paul Dabbar on Friday referenced the importance of HPC for managing stockpile stewardship. “A lot of our defense applications at the department are utilizing high performance computing since the test treaty was signed and this capability allows us to continue and accelerate our understanding of those needs,” he said. In 2018, the DOE national lab complex commissioned the number one and number two supercomputers in the world — Summit and Sierra at Oak Ridge and Livermore Lab respectively — and it houses five of the world’s top ten supercomputers (as ranked by the Top500 and High Performance Linpack benchmark).